1 8 oz. log goat cheese with herbs, or 1 tub of cream cheese with chives, or green onion cheese ball. Slice roasted, peeled beets horizontally ¼ inch thick. Carefully spread goat cheese or cream cheese or sliced cheese ball on one beet slice. 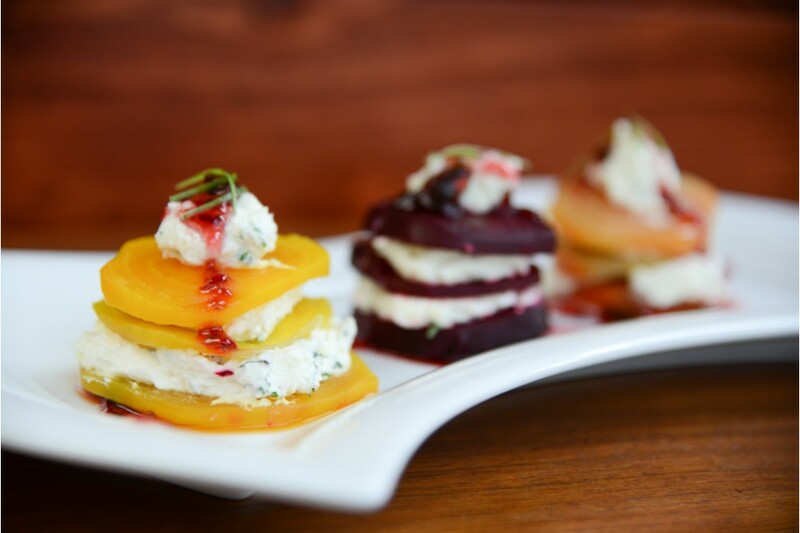 Repeat with two more beet slices and place on top of each other to make a Napoleon. Heat Ginger with a Snap Jalapeño Preserves to melt.